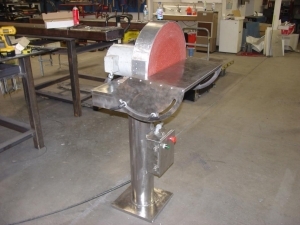 Homemade pedestal-mounted disc grinder featuring a tilting rest. Very sharp build. Nice tilting table.